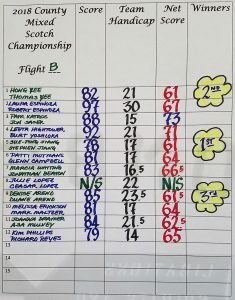 The 49th annual County Mixed Scotch Championship was played at Mather Golf Course on Sunday, July 8, 2018. The overall champs were Lisa Mayeda & Abdon Manaloto from the A Flight with a net score of 60. First place in the A flight went to Tyra Jarvis & Gary Groves (no photo) with a net score of 63. 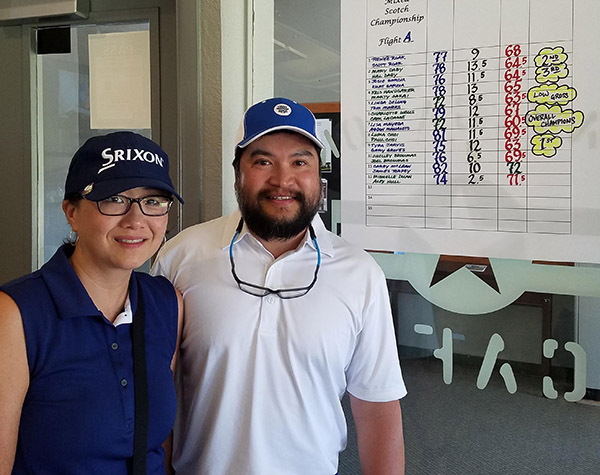 First place in the B Flight went to Sue-Ping Jiang and Stephen Jiang (no photo) with a net score of 61. One other team in Flight B shot 61 – Hong Yee & Thomas Yee and Denise (no photo) – but finished second on a card off. 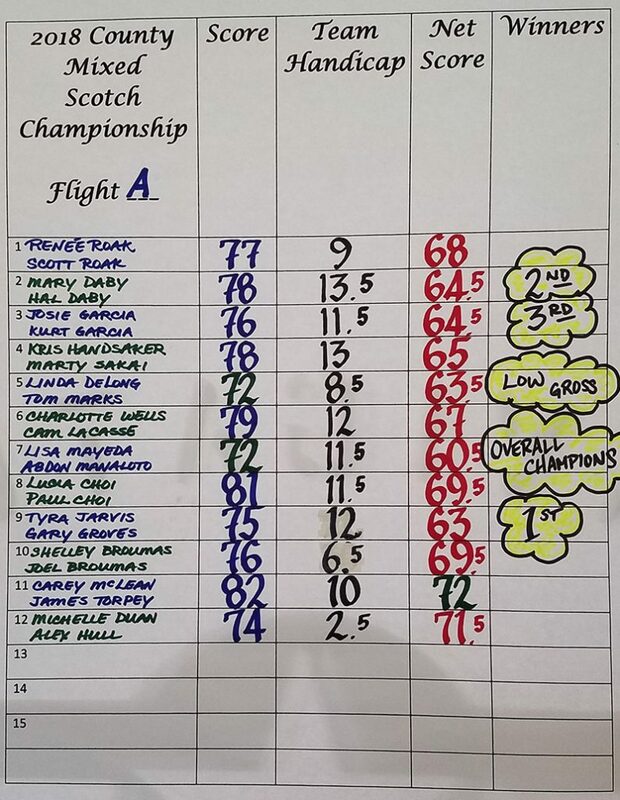 The low gross prize went to Linda DeLong & Tom Marks from the A Flight (both SGC members) with a gross score of 72.